JOY ELITE PS2170 is compatible with 20700/21700/18650 battery. Powered by single external battery, it fires a maximum output power of 100W. This kit comes with a 21700 battery. Say hello to the IJOY ELITE PS2170 TC Kit! Compatible with 20700/21700/18650 batteries, this compact device features long standby time, personalized massive fire button on the side, 0.96-inch LED display and maximum 100W output power. It also supports tanks with large sizes, USB port charging and upgradable firmware. IJOY ELITE PS2170 comes with an IJOY 21700 battery of 40A high discharge rate and 3750mAh capacity. The included Captain Mini is a 3.2ml/ 2ml Subohm Tank with 22.5mm diameter. Captain Mini adopts a convenient sliding top filling design, unique Groove chassis to reduce heat transmission, dual adjustable bottom airflow and a Delrin wide bore drip tip. The awesome tank also has an innovative CA-M2 coil head for easy replacement with no threaded. 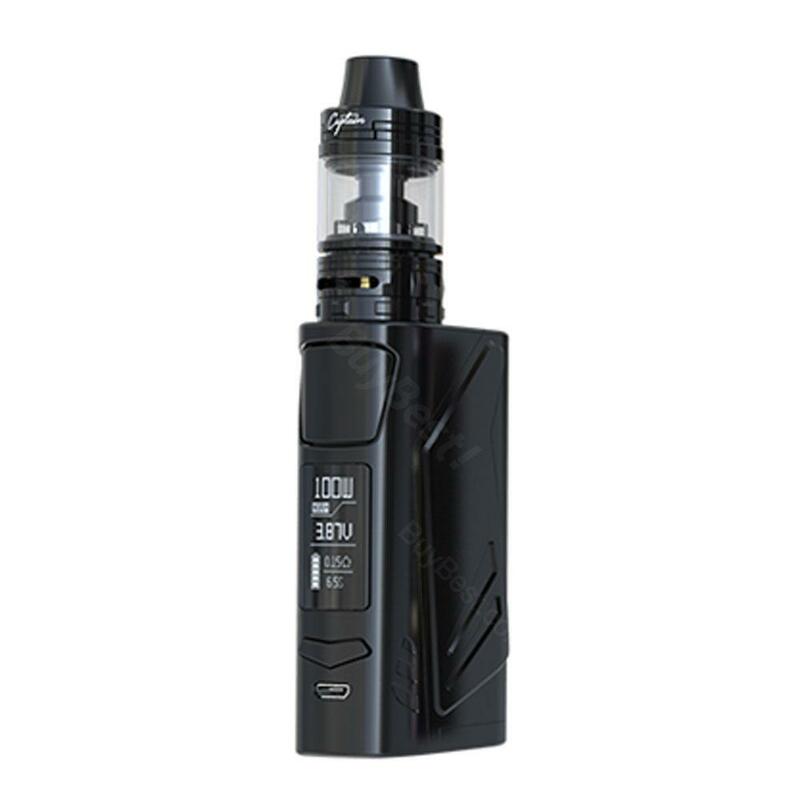 • You can buy ELITE PS2170 MOD/Captain Mini tank/20700 cell/replacement coil. • The more 20700 / 18650 Batteries and Smart Chargers are also available. 100W IJOY ELITE PS2170 TC Kit with Tank 3.2ml with 21700 Battery 3750mAh From IJOY Electronic Cigarette Full Kit. Great events, are satisfied. The Only Thing, is the contacts did not arise per tray for 18650. What is it that have sagging terminals (positive), for example, from the skin, the MINISTRY of DEFENSE will not work. РДТА is perfect, tasty and навалистая, whether on the side, you want to blow the bottom, or all at once to create a thick and very fat облочков) Thanks bro, 2 weeks delivery to SF.